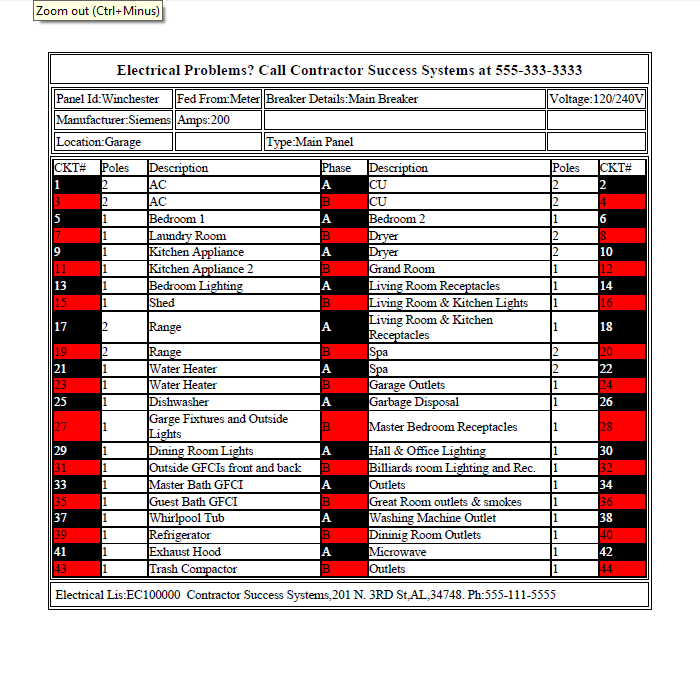 Attention Electrical Contractors! 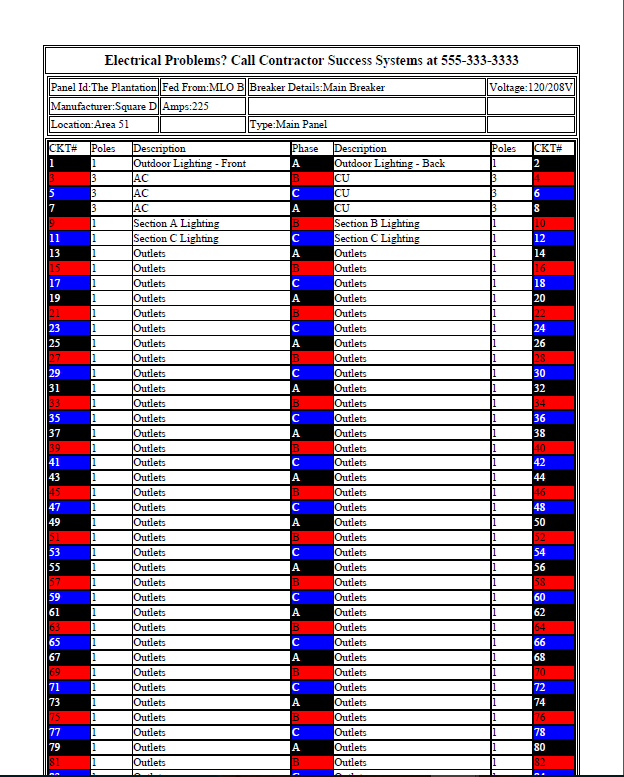 Create beautiful Panel Schedules with leading edge software! Don't be like most contractors. 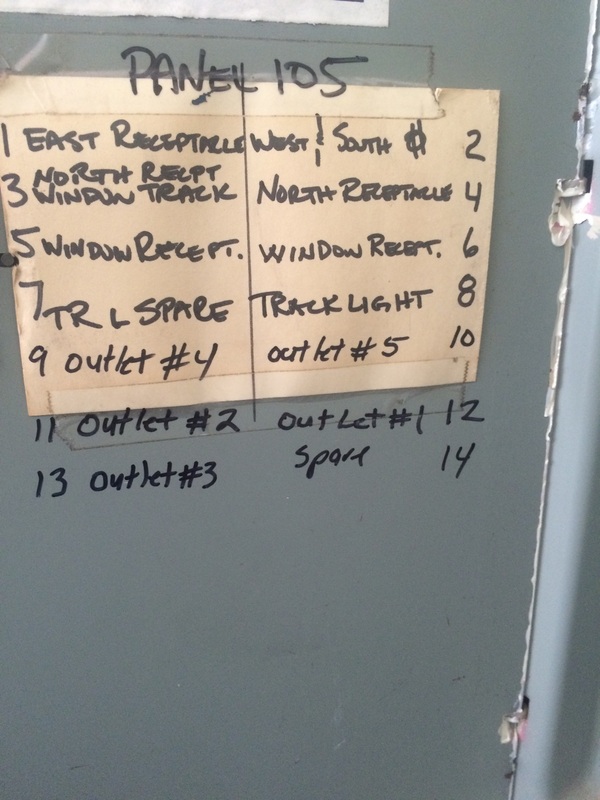 Most contractors write their panel schedules on a piece paper. Whatever is readily available at the time. Even if it's cardboard. Better yet, some will just scribble on the panel with a sharpie. Set yourself apart with professional panel schedules and blow your competition away. We all want to save time and money. You can do exactly that and stay organized at the same time. 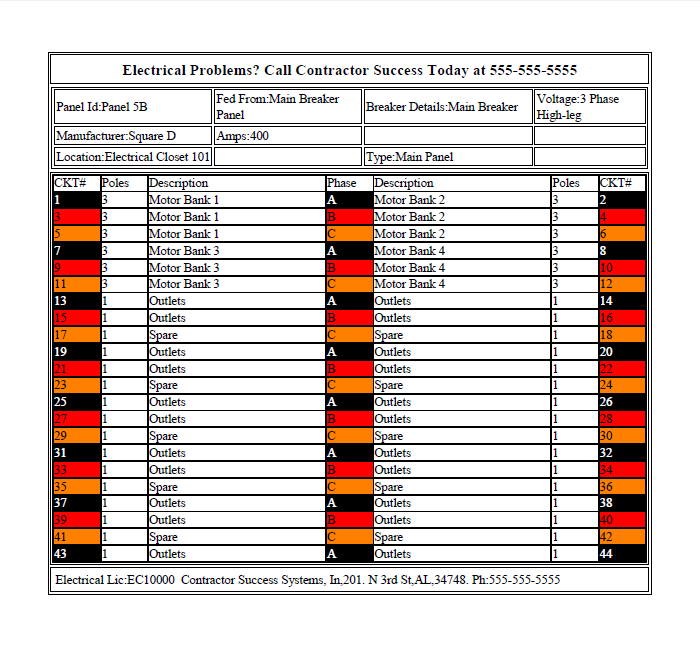 Easily create panel schedules and keep track of all of them in one place. Keep track of all schedules for schools, factories, condos and residential homes. 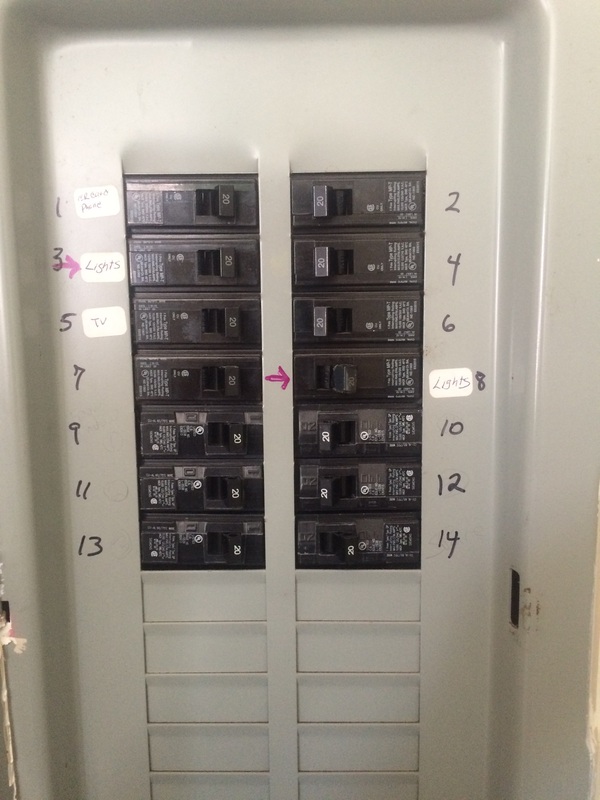 Whether you're a business owner, facility manager or home owner, no one likes to deal with a panel that is not labeled correctly. Turning off the wrong circuit in a hospital for example can mean a loss of life. It's easy to make extra income with panel schedules. 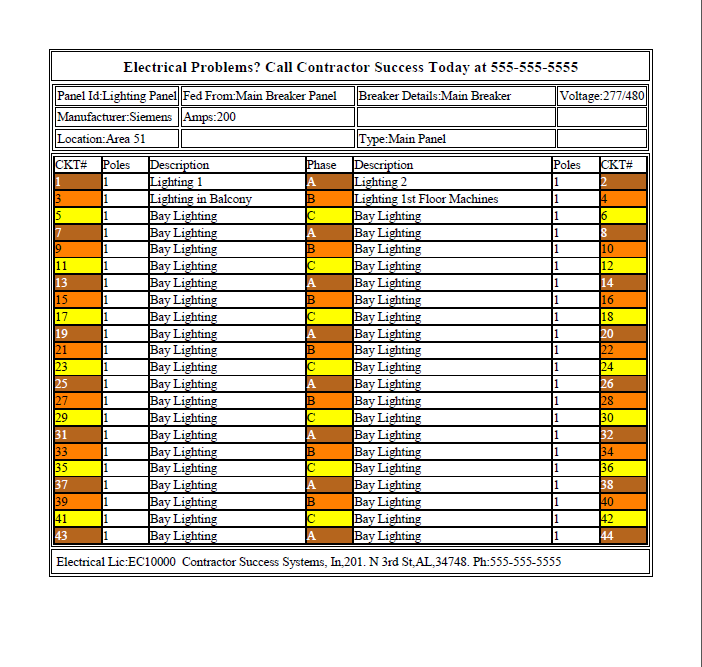 Money for the proper schedule, circuit tracing, panel rejuvenations and much more..
Dear Electrician, if you are like the majority of electricians that are out there and if you create panel schedules, there's a good chance you create them in an Excel spreadsheet. I have been there and done that for many years now. I can't say I have enjoyed the experience. Can you? Just keeping track of the spreadsheets is a pain within itself. There are other drawbacks as well and I'm sure you know what I'm talking about. That said, there had to be a better way, and now there is. I have created an easy to use web based panel scheduling system that you are going to absolutely love. It's also responsive, which means you can use it on your mobile devices. 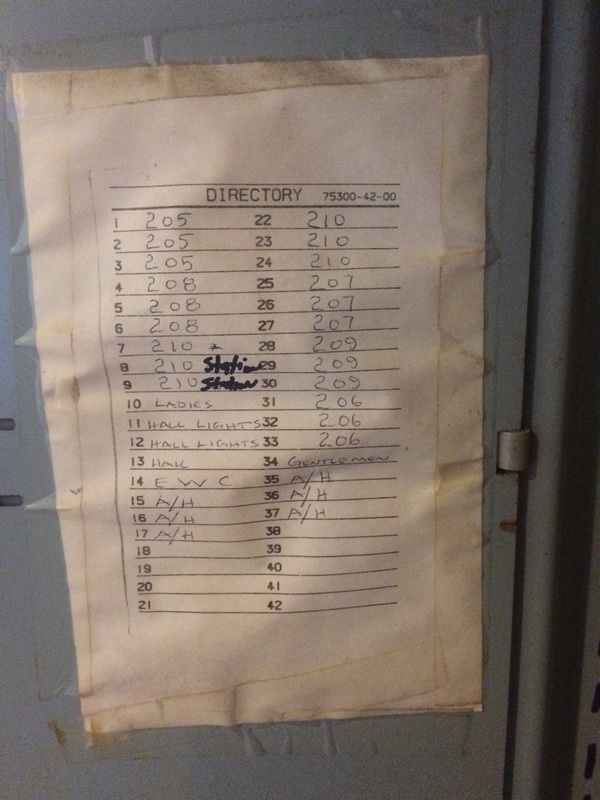 You have the ability to make changes on site and print schedules. Professional Panel Schedules will separate you from your competition! Please click on the images below. 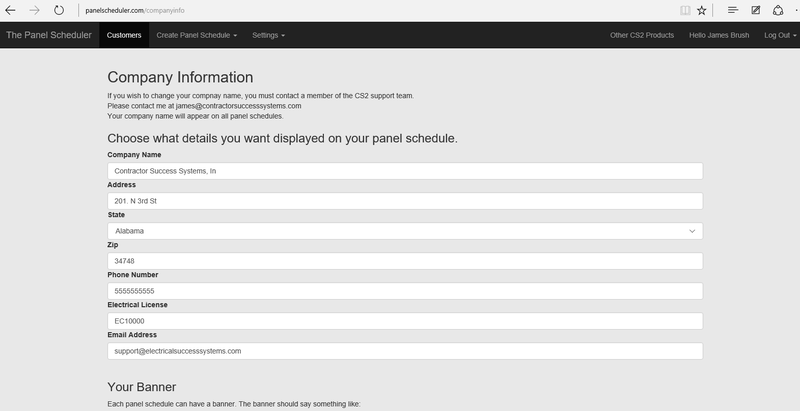 Below you will see some screenshots of the panel schedule software and the proffesional schedules it creates. You will also see some panel schedules that I took this week. 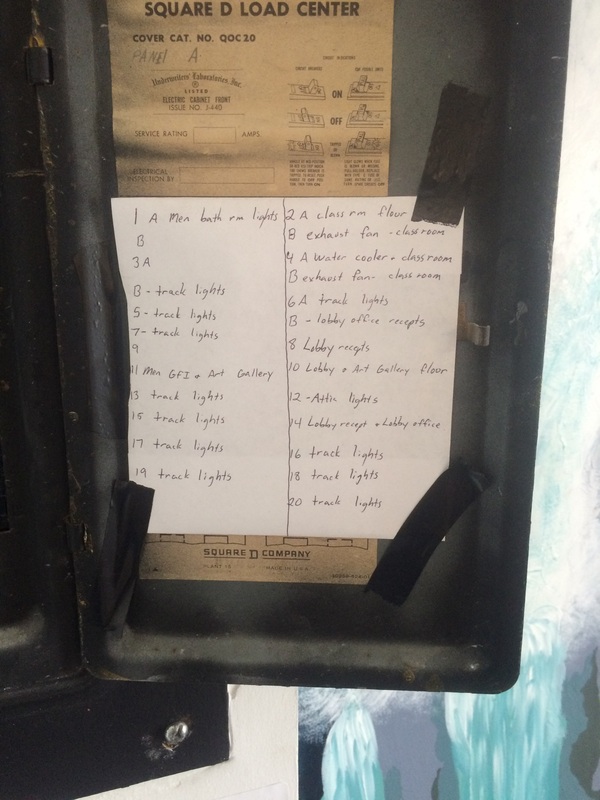 This is typical of what we see as electricains everyday. Easy to use with the features you need to get the job done! Advertise on the schedule. Your customer needs to know to call you!